You’ve been trying to learn Italian already. You’ve picked up a few words thanks to one or two phrasebooks. And Duolingo is kinda fun and not too much time consuming to do. You don’t really need to learn “My dog is white” but more stuff like “An espresso, please”. You’ve always found speaking Italian most difficult (+ scary!) and you’d really like to change this! FEAR NOT! I’m here to rescue you, my friend! Come on over to Caffé Nero (Foregate street, Chester) on Sunday April 15th, 3PM to learn some REAL Italian in a friendly and informal environment so next time you’ll be sitting at a nice Italian trattoria, you’ll be able to order your meal in fluent Italian (plus, rolling your Rs perfectly). If you’ve just landed here, let me introduce myself. I’m Ermy and I’m your host/teacher for this free Italian taster event. I’m a qualified language coach and founder of “The Language Rose”. I help lifelong learners (like you!) 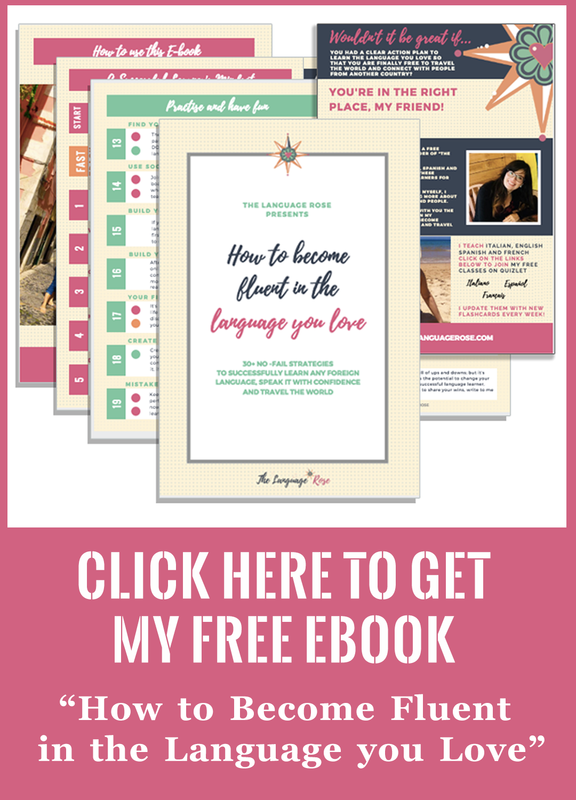 learn the language they love and travel the world -because I believe that learning a new language has the potential to change your life. Book your place now for this FREE Italian taster day. BOOK YOUR SPOT NOW. PLACES ARE VERY LIMITED. Still not sure if you wanna come? Read on! You have no knowledge or very little knowledge of Italian. You love travelling to Italy for holiday and would like to feel confident to speak basic Italian once there. You’re willing to get out of your comfort zone in order to practise speaking Italian. You don’t mind role-playing (and even dancing!) as a way to practice the language. You learn better in small groups and don’t want to sacrifice teacher’s attention whose focus is pretty much split in larger groups (this is a small group lesson!). You have already a basic level of Italian or know it already. So are you ready to book ? Here’s the link again! 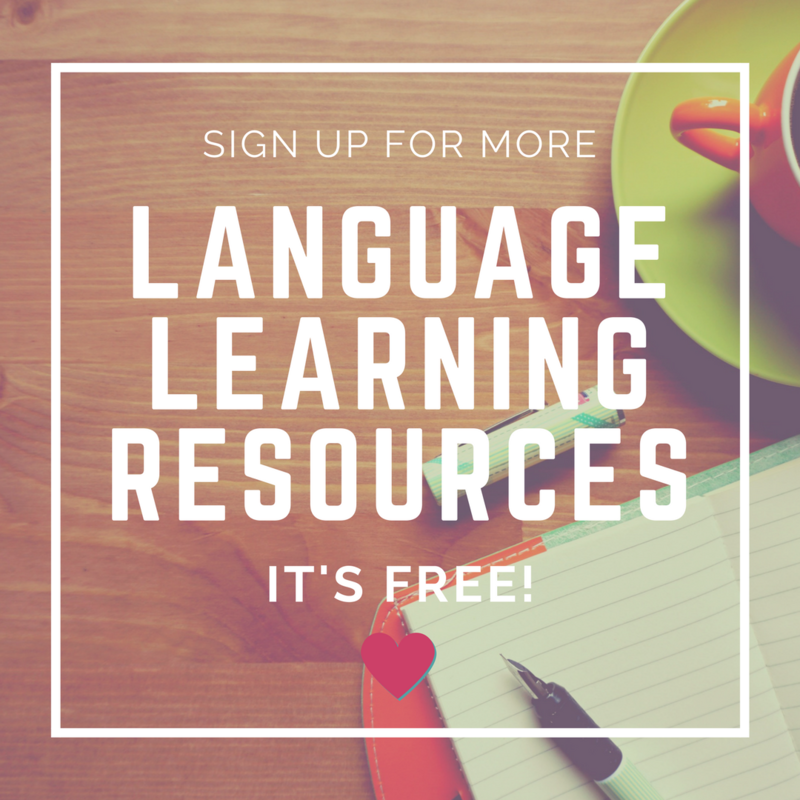 If you want to find out more about me, click here and if you want updates on more events like this and free resources to learn the language you love, make sure you subscribe to my list . 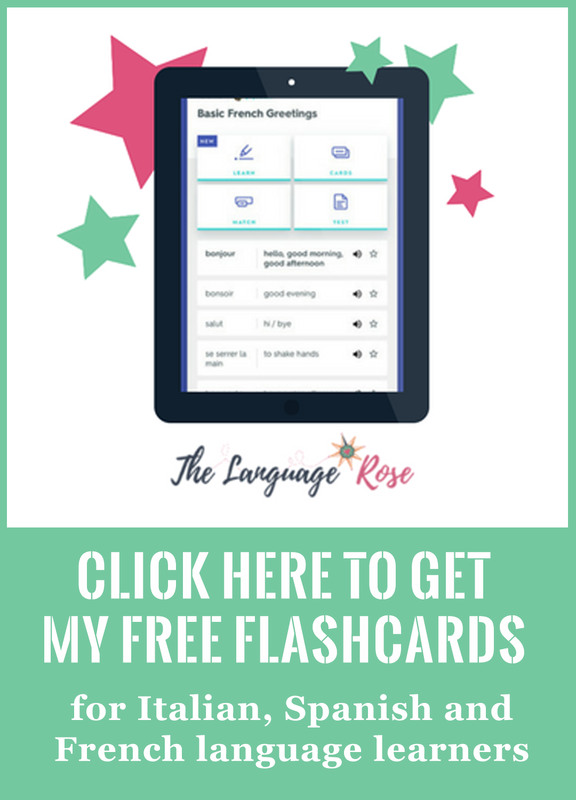 Once you subscribe you’ll become a member of The Language Rose Learning Club and get every week my free language learning resources and much more. Click right here to sign up! The travel tip that always saves my trips!